Hey guys time really flies, after uploading the last blog. It has been for another month already, just finished a mid presentation which really exhaust the hell out of me. As for the record, student in Y-GSA is a bunch of hard working students. Their potential is really astonishing, like they can over turn their project 3 days before the presentation and hand in a decent proposal design. Just as I promised before, let’s talk a bit the life before I’ve enter Y-GSA. After graduating TKU in Taiwan, normally people in Taiwan have mandatory military service issue. Luckily I got a loser stander for body check and a supported parent. I arrived Japan a month after I graduated. 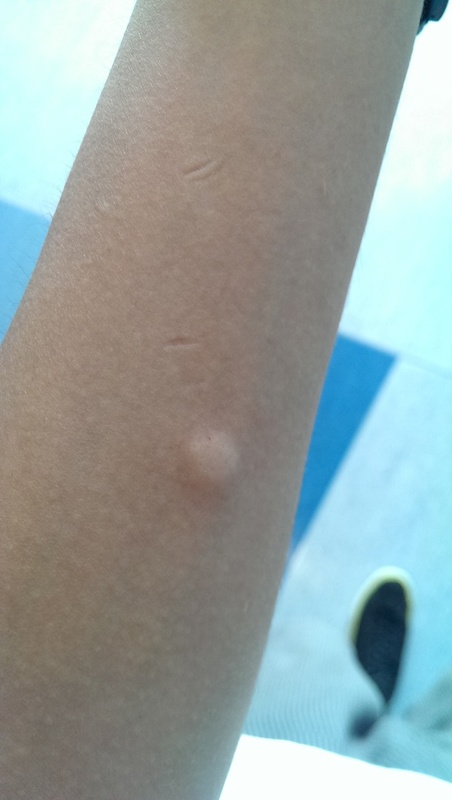 Before I arrive I have to take so many exam and have some strange vaccination that make my hand swollen up. To be honest, when I arrived Japan I cant even know how to say あいうえお. I really believe maybe, just maybe Japanese can speak English? Well, I really do learn the lesson after I arrive Japan. I still remember that day was 2013/06/24, if it wasn’t the help of my Japanese friend. I think I will die in Japan helpless. I remembered my first dormitory located at 東伏見 with 15 minutes walk from 東伏見駅. No road light, endless field and flocks and flocks of crows. 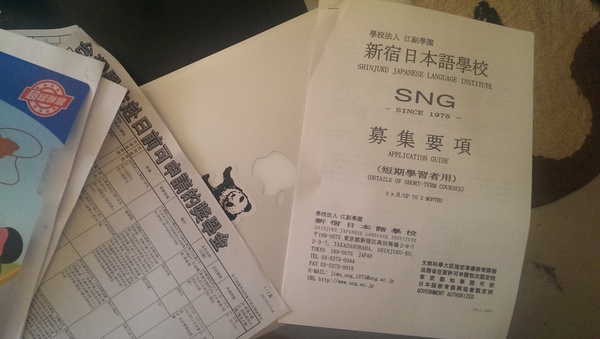 My Japanese language school is located in 高田馬場, where which have many language school also around my school. After I enter the school, I heard the rumor that this is the toughest school in whole Shinjuku. As I mentioned about the crows, I’m really scared of the crows in Japan. It’s the first time I was ever been attacked by a winged animal for no reason and that crow stoled my favorite beanie. So these day in Japan when ever I saw a crow, I ran as far as I can be. First day in Japanese school is really exciting for me, They actually know you don’t know Japanese, but they force you to speak Japanese for the first day. It really give you great help with the first step. Here I will show some of the text book and homework while I was in the school. 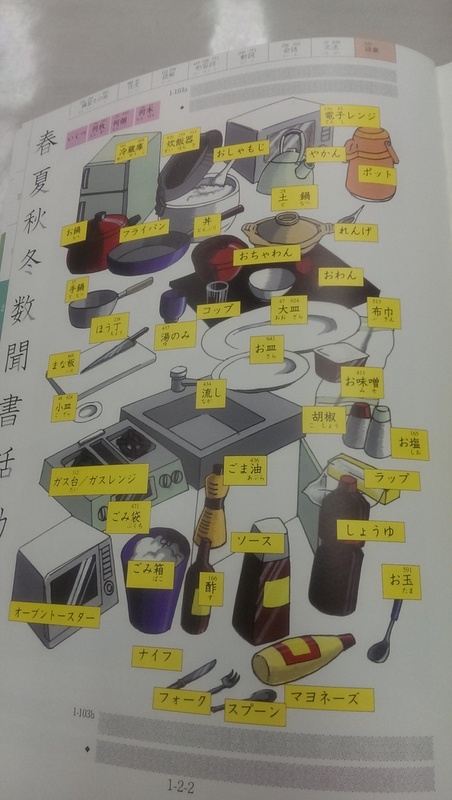 This is a page how we learn the item name in normal life. 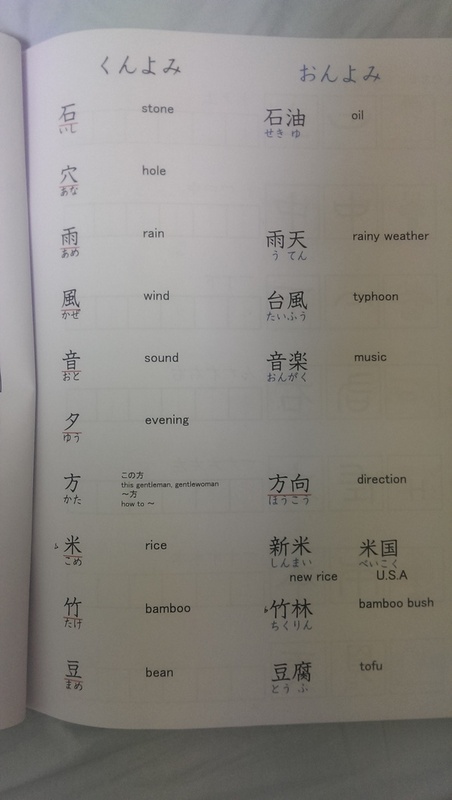 A page from a text book to learn Kanji. 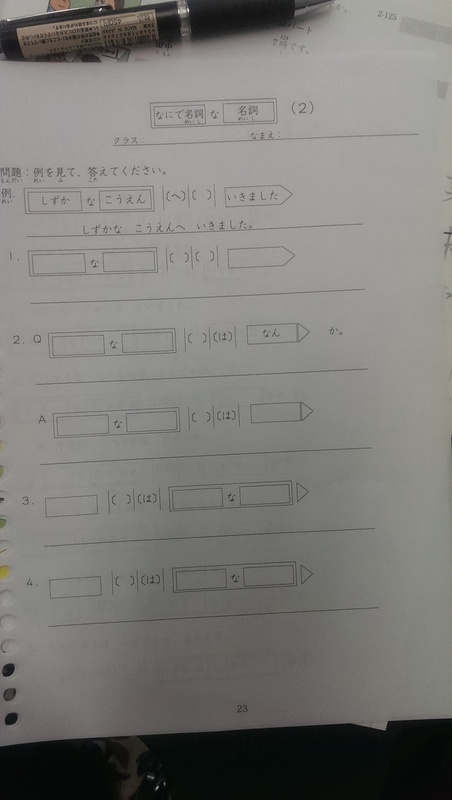 Part of the page from my homework. Maybe its seems way too easy for Japanese people, but at that second I have to spend 1 to 2 hours to finish a page without mistake. As for me, Japanese is the first language I have every went to a school to learn from a tutor. Well, I do hope my Japanese language skill comes in handy in the future. 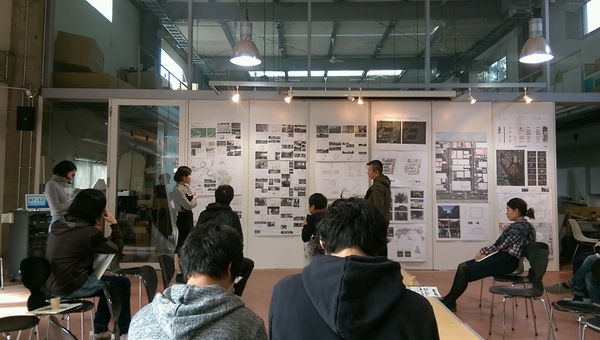 Well, after I enter Y-GSA, I do feel my Japanese skill becomes better by having conversation with classmate. Maybe using a language you want to learn everyday is the key to be able to master a language. I’ll see you guys next month. I have to think about what I have to share with you guys next time.